Even though Tennessee is part of the south, the state can still fall victim to icy roads, heavy rain and thick sleet during the winter months. These conditions can make your commute to work and other driving trips dangerous and put you at higher risk for accidents. There are some preventive measures you may want to consider to help you avoid an accident during this time of year, particularly when it gets really cold or there are icy or snowy conditions. The Knoxville auto accident attorneys at Greg Coleman Law want you to stay safe this winter and have prepared the tips below. If you are injured in a winter accident, contact us today to learn about your legal options for pursuing compensation. Do not warm up your vehicle in a garage or other enclosed area – A dangerous amount of carbon monoxide can build up and potentially injure you. Fully charge your cellphone – Your cellphone can be a lifeline if you get stuck in bad weather. Be sure you fully charge it and bring any mobile charger with you. Give yourself extra time – Your speed in bad weather should be significantly below the speed limit. Give yourself extra time to reach your destination by leaving much sooner than you normally would. Changing your oil – Oil thickens in cold weather, which is why your vehicle may need a thinner grade of oil to run more smoothly during the winter months. Filling your anti-freeze – Your vehicle needs anti-freeze to protect your radiator. Also, make sure that your windshield wiper fluid contains anti-freeze so that the spray does not freeze in cold weather. Removing snow and ice from your car – Before traveling, remove snow and ice from the roof of your car, as well as the windshield and side mirrors. Checking your tires – Inflate your tires and check the tread depth before heading out. Filling your gas tank – A full gas tank can help prevent your gas line from freezing. Checking your battery – Cold weather can adversely affect your battery. Make sure that you check it and that it is fully charged. Knowing how your car features work in winter weather – Know how your antilock brakes and all-wheel drive features operate. You can read your car owner’s manual for more information on these features. Packing an emergency kit – Load your trunk with emergency materials, including nonperishable food, blankets, an extra phone charger, a snow shovel and a bag of salt or cat litter to help your vehicle handle icy trails. Remember that speed limits are designed for optimal weather conditions. This means you should reduce your speed in more hazardous conditions, such as in bad weather. Going slower will allow you to keep better control of your vehicle and will add more space between your car and the vehicle in front of you. This will give you more time to respond in case the person in front of you suddenly brakes or starts to fishtail. If you were involved in a winter car accident, it is important that you have competent legal support on your side. 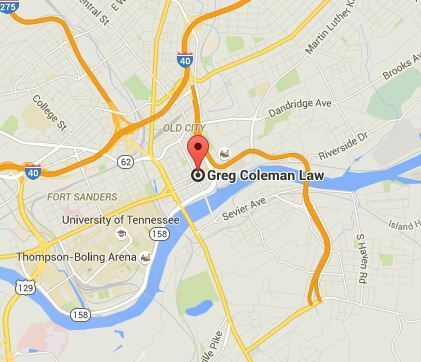 The experienced attorneys at Greg Coleman Law can review your case and explain your legal options. Because we work on a contingency fee basis, you do not owe us for attorney fees unless we help you recover compensation for your claim. Contact us at (865) 247-0080 for a free, no-obligation case review today.